Too many women in business are too busy. In fact, they are so busy that they don’t have time to think. Each morning they face a long ‘to do’ list and at the end of the day they exhale feeling satisfied by all the ticks next to the task. However, what they don’t realise is that they are trapped in the cycle of a never ending ‘to do’ list and will never get free from it UNLESS they stop and think. Women are particularly guilty of feeling guilty. We feel guilty for everything and we even feel guilty when we are not working. Taking time to think is working, so you don’t need to feel guilty. Thinking time is what separates the self employed from the business owners. The self employed will only ever be able to exchange time for money and since they only have 24 hours in each day like the rest of us, their earning potential is limited to a set fee for a portion of those 24 hours. Hard work and saving will earn you a living but smart work and investing will build you a legacy. If you want to get ahead, stop filling every minute of every day with hard work. Stop – breathe – THINK – relax and then formulate a plan to work smart. One hour of thinking each day could turn your business from a small self employed business into a large, profitable and successful company. Even one hour of thinking a week could turn things around for you significantly. The wisdom of the prudent is to give thought to their ways, but the folly of fools is deception. Think about what you are doing. Think about where you are going. Think about smart ways to get there. Are you satisfied with exchanging time for money or would you rather that your money worked for you even when you are not physically working on your business? Think about how you can achieve that. Take time to ponder on what you really want out of every set of 24 hours. Dream about what your ideal day, week, month and year looks like. Create a plan that will allow you to live the dream. You don’t need to reinvent the wheel. What already exists that you can use or who do you know that can help you get ahead? If you take time to think you will be amazed at what you can come up with. Are you using the trending hash tags on Twitter to get your posts seen? That is piggy backing. Do you network and connect with people in high places? If you are a painter you might be going door to door, offering your services. Why not rather find an established business that does plastering and collaborate – piggy back on the established company and save yourself hours of knocking on doors. Piggy backing could also mean volunteering your services to a larger organisation. You may not directly make any money but you could benefit a great deal from the publicity that you would get. • You are piggy backing not being a parasite, give something back. In order to multiply time you need to use other people’s time. It doesn’t have to be as selfish as it sounds, you can use other people’s time and still benefit the other person as well as yourself. For example, ask five really good friends to share your Facebook status – it won’t take them more than a few seconds but you will reach hundreds more people that way, saving you loads of time that you would have spent trying to find and communicate with those hundreds more people. This is the most basic element of other people’s time, but another important key to working smart is outsourcing. What can someone else do better and faster than you? A common cause of businesses failing is when the business owner insists on doing everything themselves all of the time! The problem is the 24 hours thing – you can only do so much in a day on your own. Walk with the wise and become wise; associate with fools and get in trouble. Outsourcing is the next step to business growth but choose wisely. Use other people’s time to get the job done while you focus in what you are best at. It doesn’t have to be a huge leap of faith either, start by outsourcing one or two hours a week and build up in proportion to your business growth. Think about what you can outsource and who can outsource to. Perhaps take on an intern, apprentice or student during the summer break. The possibilities are endless, but you will need to put in some thinking time to come up with something really good. The old saying, “It takes money to make money” is not entirely true. Well it is and it isn’t. You see, how you get the money to make the money is where most people are tripped up. They envisage a huge pot of money that will then ensure business success. Most businesses that start this way fail. The reason they fail is because they haven’t had to think. Money has been available so little effort was put into decisions and once the money has run out the business fails. However, those who start with little are forced to think and be creative. It is these habits that they forge in the early days that ensure their success later on when their money pot grows. Take time to think about the money that you have right now and how you can make it multiply. Don’t make the excuse that you don’t have any, you do, and it is enough. Richard Branson didn’t have money to make a phone call when he started, that didn’t stop him and when he got a little bit of money he knew how to make it grow into more. • Sell your knowledge – seminars, workshops, ebooks. • Take payment up front – create cash flow instantly. • Collaborate – offer business swaps. There is so much that you are capable of doing and achieving and all it takes is a little thinking time that will prevent you from remaining chained to your never ending to do list. 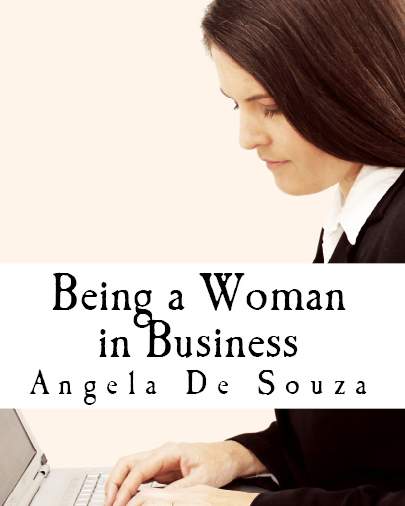 Find out more about Being a Woman in Business here or host your own Girl’s Night. We also have a monthly business networking event called Women in Business, find our more here.